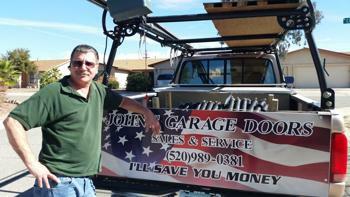 Need Garage Door Spring Repair in Tucson? I Can Help You! 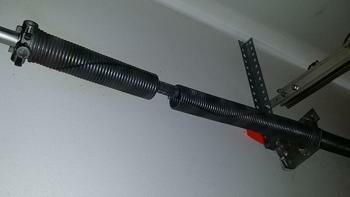 A broken garage door spring isn’t something you can afford to ignore. It’s something you need fixed now and fixed right. 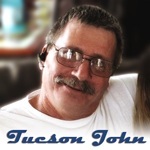 I understand, and as the owner of John’s Garage Doors, I can promise that when you call me, I will do my best to come out and take care of garage spring repair in Tucson and surrounding areas as quickly as I can, usually the same day you call me. How Much Does Garage Spring Repair Cost? While I can’t give you a price here (there are too many variables), with a quick phone call answering a few questions about the size, style and material of your garage door, I’ll be able to give you a very clear idea on the cost. Plus, if you’re a first time customer, you can also save an extra $20 off my already low prices. Find out how by clicking on the button below! Is a DIY Spring Repair an Option? A broken garage door spring is one of the most common repair jobs I see. Because it’s fairly common, I also hear a lot of questions about whether it’s something that someone who is fairly handy could fix on their own. That ﻿﻿is NOT a good idea! While you may be tempted to try garage door spring repair on your own, this fix is not something anyone can or should do. In fact, it can be a very dangerous undertaking for a person who is inexperienced and not knowledgeable about the safety procedures involved in the process. These springs are under extreme tension, and they can pose a severe risk of injury. I carry a large selection of garage door torsion springs and extension springs on my truck because it’s critical that the correct spring is used when fixing your door. It’s also critical to make every effort to get the job done for you in that single visit so you can get back to using your garage like you’re used to doing. 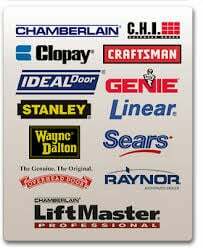 When you’re wondering about what garage door repair company you should call, there are a few things you might want to keep in mind. First, you want to make sure the person doing the repairs really knows what they’re doing. 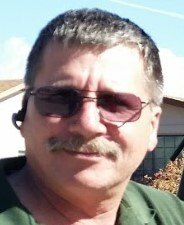 With over 25 years in the business of fixing garage doors, I can promise you I know what I’m doing. I only use the best quality springs that are not only "Made in the USA", they're made right here in Arizona! How's that for supporting the local economy? When it comes to garage door springs, it’s important to know that they do have a limited lifespan which is usually around 10,000 cycles (under normal circumstances, that's usually about 7 to 12 years). When you consider they’re just tightly wound pieces of metal that are responsible for making the opening and closing a door that may weigh as much as 400 pounds a manageable job, it’s no wonder they eventually wear out! I am a stickler for details and making sure things are done right, and I’ll show you a door balance test when I’m done making the repair to show you that the proper spring and tension are set for your specific door. The reason it’s so important is because having the wrong spring in place can definitely shorten its expected useful lifespan. The end result being added expenses to you when you have to replace them again sooner than you might otherwise have to, or replace the door opener itself. It’s not unusual for me to find springs that were installed by someone else that are off by 10 or 15 pounds from where they should be, and the homeowner was never aware of this or the potential dangers it might create. Making the opener work harder than it needs to can lead to the internal gear wearing down, rendering it useless, or burning out the motor. If you’re left to try to manually operate your garage door when it’s imbalanced due to the wrong spring, the door may be difficult to control, leading to potential damage or injury. Garage door springs break. It's a drag, but it happens. The good news is that they can easily, quickly and safely be fixed by a knowledgeable professional like me. And I can do it at a reasonable price. Plus, you can save an extra $20 as a new customer by clicking on the big red button below! Call me today and I'll ﻿﻿come﻿﻿ fix your broken garage door springs in no time!